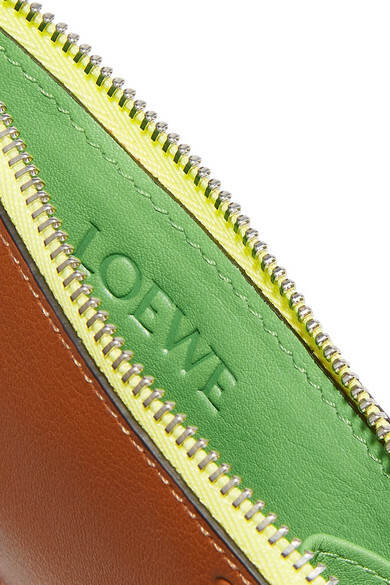 Loewe's wallet is from the brand's 'Rainbow' line that's filled with bright colors. 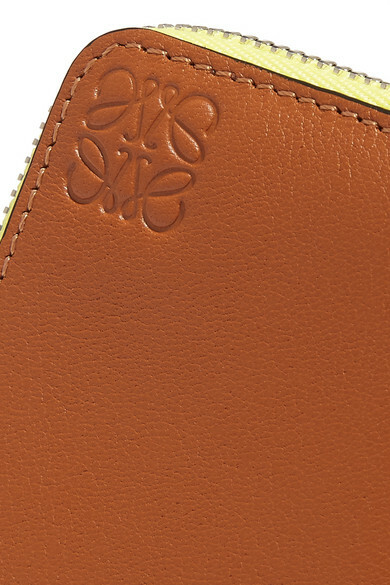 It's been expertly made in Spain from soft textured-leather and has hand-painted edges. 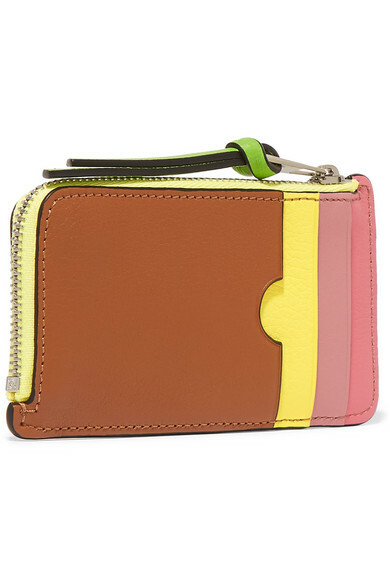 There are three pastel card slots and a zipped pocket. We love how the chunky green zip pull matches the vibrant interior.